Do you need some digging done? Then you’ve come to the right place! We provide highly experienced operators at competitive rates. 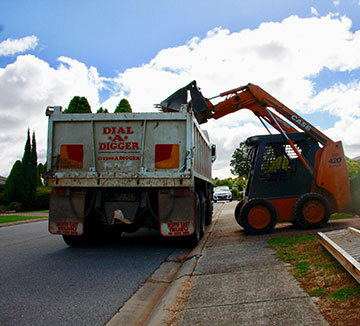 Dial A Digger has been providing reliable and professional earthmoving services at competitive rates for over 30 years. Need a mini excavator for a tight access excavation? Contact Dial A Digger today for all your equipment hire needs! Dial A Digger: We will move the Earth for you! 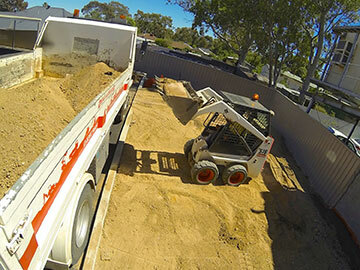 Dial A Digger has been providing reliable and professional earthmoving services at competitive rates for over 30 years. Our operators and equipment cover Mini Dingo Diggers, Mini Excavators with post hole augers and rock breaker attachments, Bobcat Skid Steer Loaders all which come with either a 2 – 15 tonne tip truck and highly qualified operators. We specialize in small, medium and large earthmoving equipment, making Dial A Digger suitable for every job big or small. Our reliable franchisees and equipment are ready to tackle your next project. 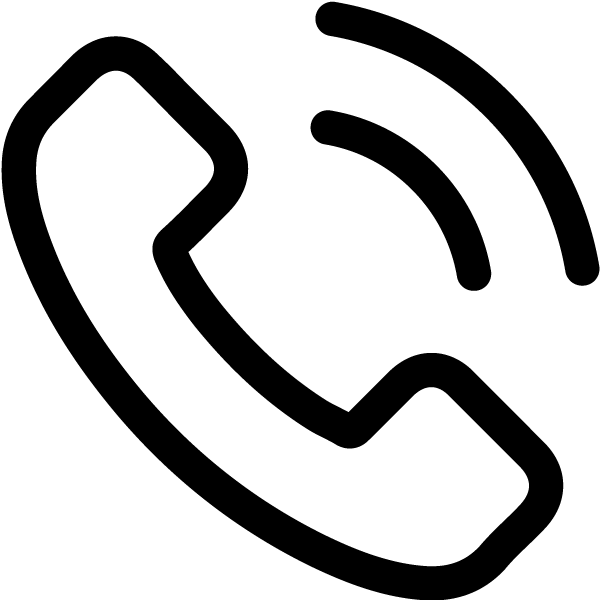 Call now to speak with one of our friendly office staff about us completing your next project. 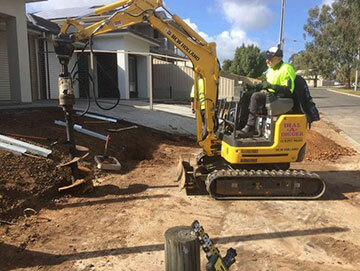 Dial A Digger provides a wide range of services. When wet hiring plant equipment, you need an experienced operator. When wet hiring a machine you will want to ensure two things. Firstly, that the machine you’re hiring won’t break down the second construction starts, and secondly, that the operator working on your site is certified. Here at Dial A Digger, we ensure that delays won’t occur on your site due to machine breakdowns as we maintain our machines to the highest standards. 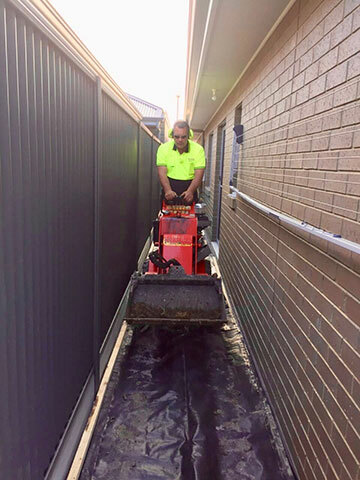 We also ensure that the operator working on your site is qualified with years of experience and will adhere to all Australian Safety Standards. So, check out our list of equipment for hire below and give Dial A Digger a call today to find out how you can have one of our qualified and experienced operators working on your next project site. Our equipment ranges from mini loaders, bobcat loaders, mini excavators, combo units and more! 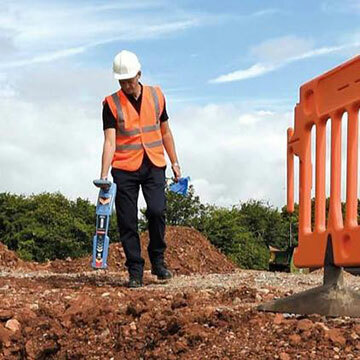 Our Mini Digger Loaders are perfect for sites where most machinery can’t gain access. In fact, our experienced operators can squeeze through a gap as tight as 780mm in width! If you require a small, medium or large Bobcat Skid Steer Loader then look no further. Our operators come out to sites with a truck and the experience to get your job done right the first time. 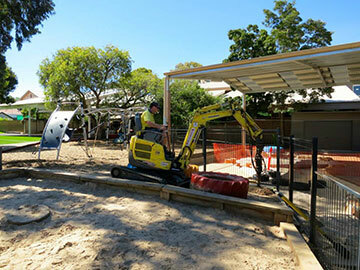 Our excavators are perfect for smaller worksites. 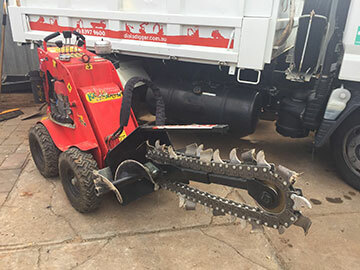 They also come with a wide range of bucket and can include attachments such as rock breakers, post hole diggers, and augers. These attachments can help us speed up your project, ask about our attachment hire when renting one of our excavators today. Our famous Combo Units come fully equipped with a truck, excavator, skid steer loader and experienced operator ready to tackle almost any style of project big or small. Get in touch with Dial A Digger today to wet hire any of our quality plant hire. Thank you for providing a reliable and honest operator who was able to envision what I was after and deliver on it. Really appreciate your good old fashioned customer service. 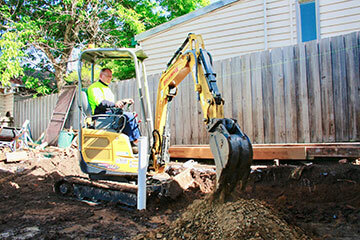 Dial a Digger Craigmore are professional and punctual. Reliable and honest. They do what they say they will do when they say they will do it. Highly recommend and will go back to them in the future. Very professional, and has great knowledge of what they’re doing and always offering great advice on the job. No fuss. Needing any landscaping preparations done look no further! Dial A Digger is your one-stop shop for all your plant hire needs. We don’t just rent out equipment, we supply a fully trained and certified operator to complete the job to your exact specifications. Our operators are highly skilled professionals and can help with any scale of projects. We’re the experts in commercial and residential projects so, we know how to get the job done right on time and on budget. We are fully insured, and our operators have been background checked to ensure that we only have the best in the business working on your site. 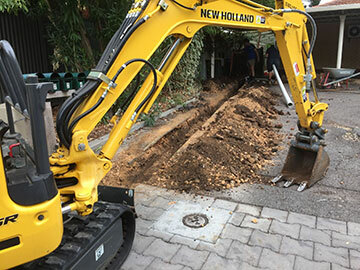 Here at Dial A Digger, we are backed by decades of experience and by professional accreditation. 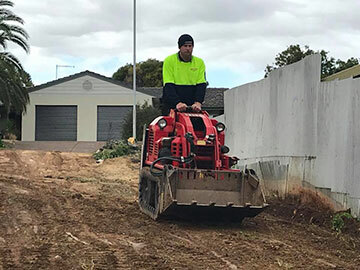 Our friendly and passionate team are keen to help with your next earthmoving or trenching project, so call Dial A Digger today. 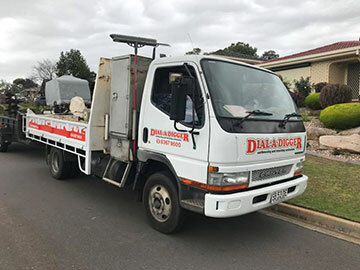 Dial A Digger have the benefit of being able to franchise our business out to dedicated workers in 31 locations across South Australia and Victoria. This ensures we can services a large area of clients who need us the most. Our service areas include Adelaide and Melbourne and their surrounding suburbs including Brighton, Werribee, Dandenong, Munno Parra, Tea Tree Gully, Seaford and beyond. 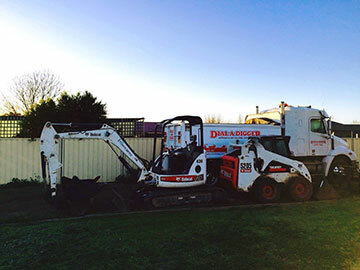 So, give Dial A Digger a call today to work on your next earthmoving or trenching project! For a rapid response fill out the form below!